Has online gambling, changed the overall UK casino industry? Gambling by visiting UK casinos is something that we have inherited from our forefathers. Throughout the course of history, people have taken special interest in gambling games to risk their money for a return and to, most importantly, have fun. Casinos have become an integral part of our lives, and no matter how much we deny it, Mankind and Gambling are interlinked with each other through an unbreakable bond. One cannot exist without the other, as both walk hand in hand. One of the most famous past time for humans throughout history till now has been gambling. From the prehistoric times when gambles were made on the most trivial of assets, to now when people go as far as putting all they have on stake, gambling was and is an excessively growing trend. The interest people have in gambling has been fuelled off late by the innovations that have sprung up within the institution that provide the best platform for gambling, The Casinos. UK Casinos have, for ages, provided the masses with an opportunity to put their skills in gambling on display. Casinos in the United Kingdom have been providing some of the most luxurious and lavish experiences to the visitors through history. The country is now host to an astounding 140 land based casinos, all of which provide an exemplary atmosphere to the visitor. Gambling has been part of British society from a long, long time. People living in this part of the world have taken solace in gambling for many a century now. 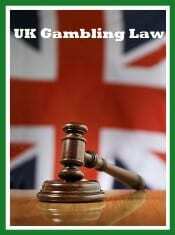 During the incipient of gambling within the United Kingdom, Gambling was very different from what it is today. Gambling, back in the day, had very little to do with the more contemporary innovations like Roulette wheels and Slot reels. Gambling in that day and age was more limited to the possessions people had. Betting would take place on the result of a jousting match, or a wager would take place on a coin game named cross and pill. Some other favourites for the people at that time were a three card game called as the Bragg, which is an ancient version of Poker. Betting was also done on board games, as the options were very limited. As time progressed, the British started betting on more serious issues. Sports came into the mix, as events like horse racing and football attracted a lot of attention for gamblers to practice their betting skills. The first sightings of Casinos in the United Kingdom were seen during the 19th century. The UK casinos were formed in the shape of gaming clubs and were strictly restricted to members only. Crockfords was the first of the gaming clubs to open in 1828 on the Curzon Street. The club was opened with the support of the Duke of Wellington. Many other gaming clubs started following suit, with the help and support of different influential people, as Casinos were not entered in the constitution as a legal entity till as late as 1960. Gambling has been part of the British society from a long time, but the legalized Casinos started functioning more recently. The Gaming Act of 1960 legalized all Casinos which paved the way for inroads to be made in this regard. Shortly after the gaming act was passed, the unanimously proclaimed “Father of British Casino’s” George Alfred James opened the Casino Club Port Talbot in Wales. The casino was first opened by George Alfred James as a gambling establishment for members only. The establishment featured a restaurant, a bar, a dance floor, and a gaming room. The gaming room was adjacent to the bar and had a variety of games like the six pence, baccarat, and black jack slot machines. A year later, George Alfred James started further enlarging his casino empire. He built the Prince of Wales club in Cardiff, The Golden Horseshoe, for working men in London and The Kingsway Casino in South Port. The Kingsway Casino stood up as his flagship, as The Kingsway introduced a whole new level of lavishness. The Kingsway Casino was the first of its kind in United Kingdom as it featured occasional visits from the stars of that time. The Kingsway was also host to some of the best musical performances, from prominent musicians. The casino empire set up by George Alfred James kept on thriving until he died in 1976. Ever since the gambling act legalized casinos, and because of the endeavours of George Alfred James, Casinos have become an integral part of the modern society in United Kingdom. New table games and further innovations have all now been accommodated within the law because of the continuous relaxations provided by the government in the law. The casinos in UK present a picture of unmatched grandeur today, with many of them being under the ownership of the same company. The Grosvenor and the Genting group comprise of almost 75 percent of the casinos running in the UK currently. Genting Group, who are one of the top Casino owners in the United Kingdom, originate from Malaysia. The first resort under the ownership of the Genting Group opened in Malaysia in as early as 1971. Genting Group currently owns a mammoth amount of 50 Casinos across the whole region which makes it one of the biggest forces in the casino market. Two brands fall under the ownership of the Genting Group, the Genting Casino and Genting Club. The Crockfords, which is one of the oldest gaming clubs, is under the flagship of the Genting Group. Incorporated in 2007, the Grosvenor Casinos which are owned by the Rank Group, represent one of the largest brands of in the region. With an ownership of up to 30+ casinos within England and Scotland, the Grosvenor Casinos have high stakes in the UK market. The recent addition of the Gala Casinos within the Grosvenor Casinos for a whooping sum of 179 million pounds has meant that with 54 casinos, the Grosvenor have the highest amount of casinos under control in the UK market. Gambling promoted the differences between classes: Throughout the history of gambling, it would be the rich who played the high stake games in the clubs. The poor would indulge in very basic dice or coin games in their separate lodges. The rich would bet on the horses in betting houses, specifically made for the purpose while the poor would do so at the race meetings. With the divide visible, the gambling trends laid down a basic segmentation in the society that was to remain for the times to come. Gambling was declared illegal for the poor, and legal for the rich: Henry VIII passed a law which specifically banned all poor people from gambling at anytime during the year except Christmas. The acts of the 18th century also set an invisible boundary by placing high gambling limits to keep the poor away from gambling. Gambling had to reach the people: This was a more contemporary problem that came up with gambling. With so many means of communication available, people started looking forward to a more suitable gaming experience, something that was provided to them without having to go to the casino. Something that would make them try their luck in the comforts of their home. All of this was provided by the development of the Online Casino experience. The year 1994 was a formidable year in the formation of online casinos within the UK. The advent of online Casinos meant that there was a shift from the traditional land based casinos, to the virtual world that we all are currently accustomed to. The move kick started from the Island of Antigua and Barbados within the Caribbean. The major breakthrough in this regard was the signing of the Free Trade and Processing Zone Act. Even after the development of the Act, it was in 1998 that William Hill launched the first UK Online Casino, through his betting services, Sportsbook. The online casino trend in the UK was certainly gaining pace and it was soon expected that it would overpower the presence of other land based casinos. While the UK was a little late in jumping on the Online Casino bandwagon, there were a variety of new innovations in this regard being done in the rest of the world. Microgaming took the lead and launched the first online casino in 1994. The casino started gathering viewership at a slow rate during the beginning, but a lot was expected from it later on. Just after the launch of Microgaming, Cryptologic by the famous duo of Mark and Andrew Riokin started frenzy amongst Casino enthusiasts. The casino by the Riokin brothers offered a first transactional system of its kind. The transactional system introduced by the duo was safe, reliable and easy to use for the users. Following the success of Microgaming and Cryptologic, many Casinos started trying their luck in this developing new market. The chances of innovations were plenty, and there were a lot of gains to be had. The start of the 2000’s meant that there was a very major change in the range of people that the internet catered to. The start of the 20th century signalled the start of the spread of the internet. The internet was spreading across the world at a rapid rate. People were getting internet connections in their homes, which eventually showed an increase in the number of opportunities that the internet presented. With this transition from the real world to the online world happening at a fleeting pace, it was significant that the opportunities presented be grasped as quickly as possible. 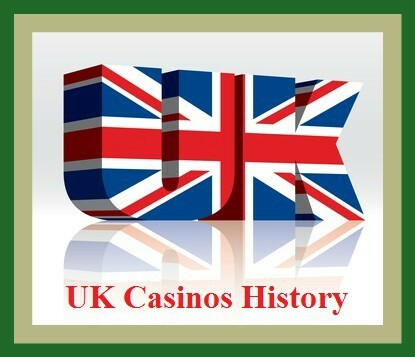 The development and the evolution of the casinos within the UK took a turn for the better with the start of the 20th century. Entrepreneurs had realized that the internet was here to stay and for success to be achieved, it was pertinent that the opportunities which came along be seized with both hands. As soon as the realisation that the online casinos were serious business dawned upon the investors, they started looking out for ways through which they could join this bandwagon of success. The interest from the investors meant that the online casino industry got a major boost during the 2000’s. There were plenty of online casinos opening, which were all met with a huge response from the public. With gambling becoming part of the daily routine of the average UK adult, the participation in Casinos is at a record high. The restrictions on Casinos that were part of the past have been reduced in both the land based Casinos and the Online Casinos. The percentage of the total adult population that have tried online gambling has increased from 9.7 percent in 2008 to a whopping 15.9 percent in 2015. Active accounts, that have been used once or, more than once by the user in the last 12 months have risen up to 18 million. Furthermore, the participation in the online casino slots was 37 percent during the year 2015, which is a massive success. The cash involved within the Online Casinos is also on the rise, with researchers quoting as much as 366 million pounds won through Online Casinos during the year 2014. With such astounding numbers to boast, the success of the gaming site is no more a secret. Online Casinos have revolutionized the way casinos have been viewed throughout history with the help of an amalgamation of several different techniques and methodologies. The biggest way through which Online Casinos have changed the overall gaming Industry is that they have made room for innovation. Innovation within the slots is something that is very common and part of Online Casinos. The Innovations have been assisted with the presence of unlimited storage space online. Land based establishments face the issue of space constraints, something which cannot be felt or imagined while on an online slot. Users get a variety of slots , all of which add to the choice the user has. All in all, the transition from land based to the internet is still under process within the UK. Land based establishments have a sizable group of people to cater to, while Online Casinos have started garnering a huge target base of their own. From the incipient of gambling within the UK, to where we stand today as a nation in this regard, the progress of the Casinos has been exemplary. Heightened interest within Casinos and gambling has meant that the astounding numbers that we see today are going to be toppled in the foreseeable future. All the innovations and increase in interest towards gaming can’t help one from wondering what the future holds for the industry within the UK. Gambling in casinos within the UK has benefited a lot from the Gambling Act, which came into force almost 11 years ago from today. The boom in the Casino gambling within the UK as the result of the Act means that the future of gaming within UK is under sunny skies. The land based establishments have enriched themselves with the fine addition of dining restaurants, dance floors, and bars within the Casino. The response from the public is mind blowing and it can be said that the future of land based Casinos in the UK is in safe hands. On the other hand, the increase in TV advertisements has meant that there is an overall growth in the target market for Online Casinos. Brits, who have never had the experience in the different slots available today, can add to their knowledge by accessing the various casino sites, within the comforts of their home. With the increase in the trend of gambling, it won’t be a surprise when UK surpasses America as the home to the best UK Casinos.